Not to be confused with his father, atmospheric scientist Roger Pielke, Sr..
Roger A. Pielke Jr. is a professor of environmental studies at the Center for Science and Technology Policy Research at the University of Colorado at Boulder.. Dr. Pielke is a prolific and controversial writer; his most recent book setting forth his views is called "The Honest Broker: Making Sense of Science in Policy and Politics," which was published by Cambridge University Press in 2007. His doctorate is in political science. 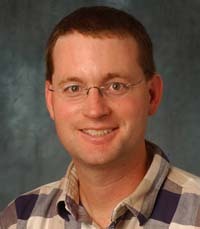 Dr. Pielke's work on climate change effects has been criticized by Dr. Stephen Schneider, who said that with Pielke "one consistent pattern emerges-he is a self-aggrandizer who sets up straw men, knocks them down, and takes credit for being the honest broker to explain the mess-and in fact usually adds little new social science to his analysis . On political views, Dr. Pielke has stated "If you want to know what I think about things that I have some expertise in, just have a look at our blog and my publications and you’ll get a pretty good sense of my views on particular subjects." He has written that he supported Barack Obama's 2008 campaign to be President. Huffington Post writer David Roberts has argued that Dr. Pielke has "been playing footsie with denialists and right-wing ideologues for years; they're his biggest fans." Dr. Pielke describes himself as a "Blue Dog Democrat." Dr. Pielke has published hundreds of articles in a variety of publications, and some of his statements and arguments have attracted significant controversy. During 110th Congress, Democratic leaders investigated claims by numerous scientists that their research and findings were subject to political interference by members of the Bush Administration, and Dr. Pielke was selected by the Republican minority to testify during that investigation. In the face of voluminous documentation of political interference by the Bush Administration, Dr. Pielke asserted that President Bush's actions were similar to those observed in the Clinton Administration, that science in policy was unavoidably political, and scientists had politicized science. The Union of Concerned Scientists (UCS), along with many others in the scientific community, strongly disagreed that the Bush Administration's pattern of interference in scientific integrity was simply business as usual in Washington. For example, UCS provided a thorough compilation of the manipulation, suppression, and distortion of critical scientific information in its "A to Z Guide to Political Interference in Science." To take just one of many examples, Dr. Pieter Tans, a chief scientist at the National Oceanic and Atmospheric Agency’s Global Monitoring Division in Boulder, Colorado--in the same city as Dr. Pielke--"was asked by lab director Dr. David Hofmann to cancel a conference session on energy use and the carbon cycle due to its 'policy implications' and was told that the words 'climate change' could not appear in the titles of any presentations. Hoffman had previously told Tans and other NOAA scientists not to use the word 'Kyoto' in presentations or papers." At the time of this political interference and censorship, Dr. Tans was chair of the Scientific Program Committee for the Seventh International Carbon Dioxide Conference and was preparing to talk about "the dominant role that carbon dioxide plays as a forcing agent in climate change." Dr. Tans was later told that any material dealing with climate change, including his laboratory’s website content, had to be pre-approved at the White House level. Specifically, Dr. Pielke stated that "A prominent non-scientist responsible for editing official government reports on climate change is at the exact same time being paid to engage in advocacy work related that that issue. To quote the media question to Scott McClellen regarding the Phil Cooney affair, 'are there not indications of at least the appearance of impropriety?'" Dr. Benjamin Santer of the Lawrence Livermore National Laboratory, who served as the Convening Lead Author of Chapter 5 of the U.S. CCSP Synthesis and Assessment Report 1.1 ("Temperature Trends in the Lower Atmosphere"), argued that this was "a cheap shot," adding that the suggestion that associate editor referenced by Dr. Pielke, Susan Hassol, "is responsible for introducing some form of bias in the Report" could not be "further from the truth." He explained that "Susan Hassol's expertise has been invaluable in helping the authors of the first CCSP Report explain complex scientific issues in terms readily understandable by a lay audience. She has made our Report a better and clearer Report. She has not modified the scientific conclusions of the Report," in contrast to the work of Bush political operative Philip Cooney. Dr. Pielke responded to Dr. Santer by stating, "Let me reiterate that this post is not to disparage either Mr. Cooney or Ms. Hassol, but to compare and contrast their very similar professional roles and how it seems that each has been treated very differently by the media and commentators, and certainly by scientists." Dr. Pielke noted that he also commented in his original note: "I am sure that Ms. Hassol must be good at what she does, given her resume ..."
Answering a review by Michael Tobis of his book "The Honest Broker" Pielke writes "My concern about climate science is that too many science arbiters and honest brokers have decided to engage in advocacy. The choice to become an advocate is of course a personal one, but I would argue that some place needs to be reserved for honest brokering of policy options, a role best served by authoritative institutions. However, this role that has gone wanting in the context of climate as the IPCC, national academies and professional organizations have all jumped on the advocacy bandwagon to some degree." Pielke goes on to argue that scope for action has been narrowed by the "advocacy" he complains of. In this interesting exchange he also says climate change is like "abortion politics." Dr. Pielke has argued that NASA Scientist James Hansen's 1988 prediction of global warming was inaccurate. Of the two lower projections Pielke wrote that "neither is particularly accurate or realistic. Any conclusion that Hansen's 1988 prediction got things right, necessarily must conclude that it got things right for the wrong reason (italics in original)." Tim Lambert has argued that "Pielke's criticism of Hansen's scenarios is badly misconceived. The important input to Hansen's model was the total forcing from greenhouse gasses, but Pielke ignores this to focus on the growth rate of emissions of each gas. For instance, he claims that scenario B was off by a factor of 2 on CO2. This sounds like a lot until you discover that means that emissions grew by 0.5% per year instead of 1% a year. And that works out to scenario B having the concentration of CO2 in the atmosphere within 1% of what has actually happened. Pielke is being much more than a little unfair by calling a prediction that got within 1% of the correct answer as not being "particularly accurate or realistic"." Dr. Pielke has suggested that hurricanes should be part of the climate change mitigation debate. He published a peer-reviewed study on this topic in the journal Proceedings of the Philosophical Transactions of the Royal Society. This paper updates and extends a study that he originally published in the skeptic journal Energy and Environment, and at the 2007 Fall meeting of the American Geophysical Union, Dr. Pielke gave a joint presentation on hurricanes and climate change with noted global warming skeptic Stephen McIntyre. From 2001-2006 he was a director of Weatherdata, Inc., "a leading provider of weather services", according to Wikipedia. as of May 2009 Pielke Jr. is a member of the editorial boards of Minerva, Darwin, Environmental Science & Policy, Global Environmental Change, Natural Hazards Review, Policy Sciences, and Water Resources Research . D. Sarewitz and R. A. Pielke, Jr., "Breaking the Global-Warming Gridlock", The Atlantic Monthly, July 2000, Volume 286 No 1, pages 55-64. 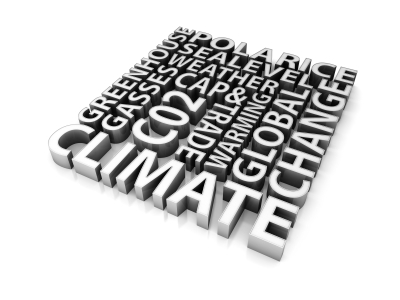 Roger Pielke Jr. and D. Sarewitz, "Anyone for Global Warming? ", The Washington Times, February 2, 2000. Roger Pielke Jr. and D. Sarewitz, "Society has to Learn to Adapt", The Albuquerque Journal, August 5, 2001. Roger Pielke Jr., "When Science Gets Political", Newsday, February 23, 2003. Roger Pielke Jr., "Politics and science mix badly", International Herald Tribune, January 20, 2003. Roger Pielke Jr., "Pre-emptive politics ignores science", Rocky Mountain News, August 18 , 2003. Roger Pielke Jr., "Making sense of science in the politics of the stem-cell debate", Rocky Mountain News, July 31, 2004. D. Sarewitz and R.A. Pielke, Jr., "Rising Tide", The New Republic, January 6, 2005. Roger Pielke Jr. and D. Sarewitz, "Managing the next disaster", Los Angeles Times, September 23, 2005. Roger Pielke Jr. "Accepting politics in science", The Washington Post, January 10, 2005, p. A17. Roger Pielke Jr., "Science, Politics and Press Releases", The Albuquerque Journal, April 2, 2006. Roger Pielke Jr, "Climate change is serious, but we have to have a realistic response", Guardian Unlimited, London, United Kingdom, October 13, 2006. Roger Pielke Jr., "Overheated Claims", Financial Post, June 17, 2008. Roger Pielke Jr., "Political realities will undermine energy pricing", Letter to the Editor, Financial Times, July 21, 2008. Roger Pielke Jr., "Europe’s climate policy may be more about appearances", The Financial Times, December 24, 2008. Roger Pielke Jr. and C. Green, "The cure for carbon", Rocky Mountain News, November 22, 2008. Roger Pielke Jr., Statement of Dr. Roger A. Pielke, Jr. to the Committee on Environment and Public Works if the United States Senate, Hearing on Economic and Environmental Risks Associated with Increasing Greenhouse Gas Emissions, March 13, 2002. Roger Pielke Jr. "Response of Dr. Roger A. Pielke, Jr. to Questions Posed by the Committee on Environment and Public Works of the United States Senate, Hearing on Economic and Environmental Risks Associated with Increasing Greenhouse Gas Emissions, May 29, 2002. Roger Pielke Jr., Statement to the Committee on Government Reform of the United States House of Representatives, Hearing on Climate Change: Understanding the Degree of the Problem, July 20, 2006. Roger Pielke Jr., Statement to the Committee on Government Reform of the United States House of Representatives, Hearing on Political Interference in the Work of Government Climate Change Scientists, January 30, 2007. Roger Pielke Jr., Statement to the House Committee on Science and Technology of the United States House of Representatives: The State of Climate Change Science 2007: The Findings of the Fourth Assessment Report by the Intergovernmental Panel on Climate Change (IPCC), Working Group III: Mitigation of Climate Change, May 16, 2007. ↑ 1.0 1.1 1.2 1.3 Home page. Roger Pielke Jr.'s Blog. Retrieved on 2011-04-13. ↑ 2.0 2.1 Roger Pielke Jr., "Interview with Brad Johnson, Center for American Progress", Prometheus (blog), February 25th, 2009. ↑ Dylan Otto Krider, ""Is Roger Pielke, Jr. Zelig? ", Skepticism Examiner, March 1, 2008. ↑ "Occasionally Asked Questions About Roger Pielke, Jr.", accessed May 2007. ↑ David Roberts, "Bashing Dirty Hippies and Getting Played: A Case Study in Six Chapters", The Huffington Post, January 17, 2007. ↑ David Roberts, "House committee hearings on politicization of climate science: guess who the Republicans invited?," Grist, 30 Jan 2007. ↑ Roger Pielke Jr., ""Conflicted about Conflicts of Interest? ", Prometheus blog, 23 April 2006. ↑ Roger Pielke Jr., "Conflicted about Conflicts of Interest?? ", Prometheus blog, 23 April 2006. ↑ Roger Pielke Jr., "Evaluating Jim Hansen's 1988 Climate Forecast", Prometheus, May 29, 2006. ↑ Roger Pielke Jr., "Scenarios, Scenarios: Hansen’s Prediction Part II", Prometheus, May 30, 2006. ↑ Tim Lambert, Pat Michaels: "fraud, pure and simple", Deltoid, June 5, 2006. See generally, Tim Lambert, "Pielke train wreck", Deltoid, May 16, 2008; Tim Lambert, "Pielke train wreck continues", Deltoid, May 19, 2008; Tim Lambert, "Do not cite or quote", Deltoid, August 7, 2008. ↑ "Future economic damage from tropical cyclones: sensitivities to societal and climate changes", Philosophical Transactions of the Royal Society, 2007. ↑ Roger Pielke Jr. "AGU Powerpoint with Steve McIntyre" posted on Prometheus blog, December 10, 2007. ↑ 30.0 30.1 30.2 "Homepage", University of Colorado Center for Science and Technology Policy Research, accessed May 2009. "Occasionally Asked Questions About Roger Pielke, Jr."
Wikipedia page on Roger A. Pielke Jr. This page was last edited on 9 August 2012, at 16:55.